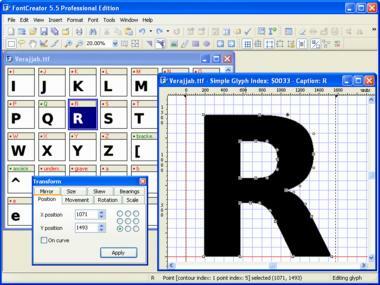 This professional font editor allows you to create and edit TrueType and OpenType fonts. 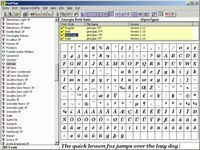 It has the powerful drawing tools that typographers and graphic designers require, and an intuitive interface that allows beginners to become productive immediately. 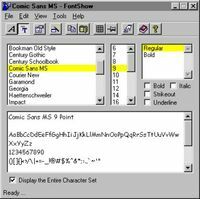 When you create or open a font, FontCreator displays an overview of all available characters. You can simply add missing characters, or select an existing character, and modify its appearance. You can import (scanned) images of your signature or company logo, or make a font from your own handwriting. 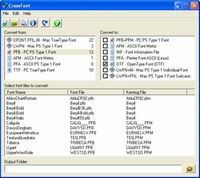 Other features include the ability to preview fonts before installing, and a font installation wizard that makes your fonts available to other applications. 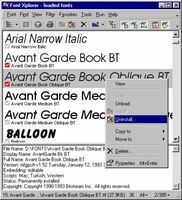 FontCreator also lets you extract TrueType fonts from TrueType Collections, fix character mappings, edit and regenerate font names, and modify and clean up kerning pairs. Whether you're a type designer or graphic artist who needs a font creation powerhouse, or a hobbyist who wants to have fun creating new fonts, FontCreator has the tools you need.